Milbank Lay-in wireway features G90 galvanized steel construction with unpainted finish for durability. It measures 6-Inch x 6-Inch x 12-Inch. 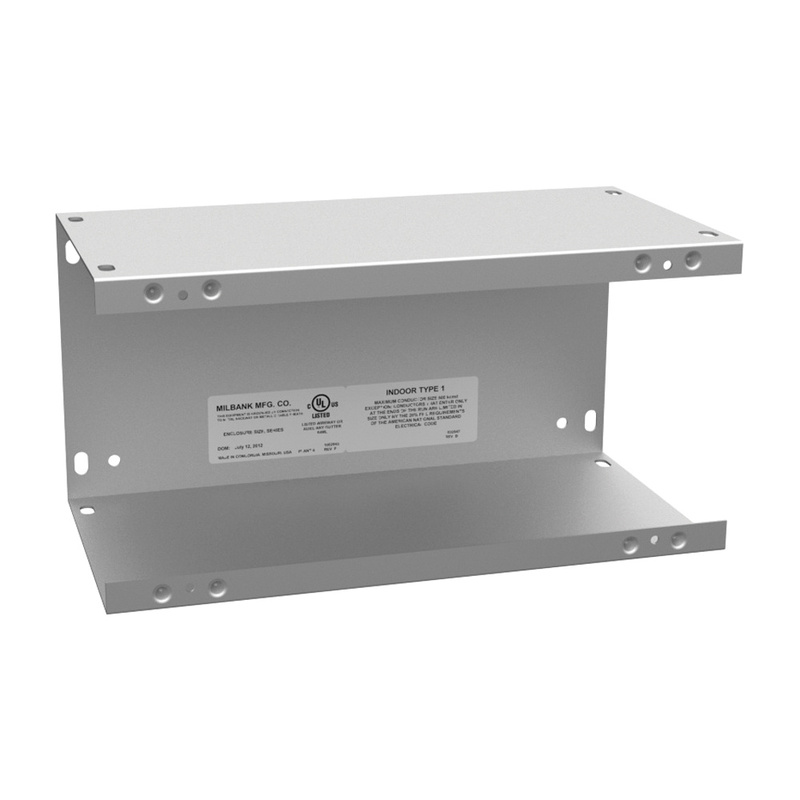 Screw cover wireway has NEMA 1 enclosure to provide safety. It allows long interrupted runs of electrical wiring in applications where moisture and dust are not a problem. Wireway is UL 870/cUL listed.